Make Death by PowerPoint a Thing of the Past. 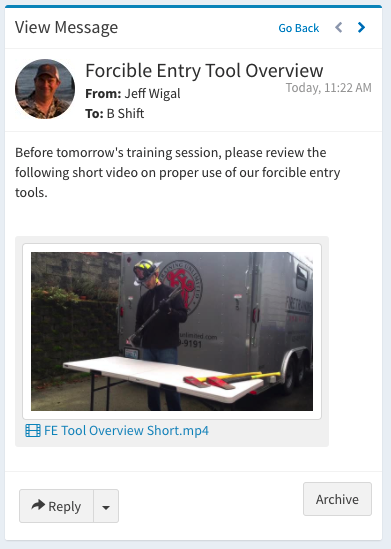 If you can record a video on your phone, you can create training content for your department. Most people have a smart phone in their pocket… why not use it to make your training materials more engaging? Rescue Hub makes it easy for anyone in your organization to create a skill video, and put it directly into your department’s training. Creating a skill video is easy… just pull out your phone and hit “record” during a training session. When the session is over, you can edit it and upload it from your computer. Or you can even upload it directly to Rescue Hub, right from your phone. 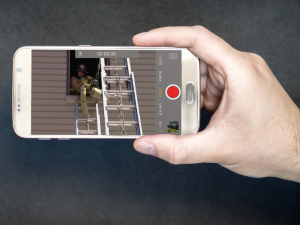 Rescue Hub makes it easy to upload a video and send it to your entire department. And we do it without having to use public video sites like YouTube and Vimeo. Everything is stored on your own private training website, accessible only to your department’s personnel.